Wake up. Coffee. Breakfast. Read, write, lunch, take a walk, go for a swim, dinner, drinks, read, sleep. It might be a Saturday anywhere in the world, and some days on this trip are just like that. They’re enjoyable, but when I thought I’d be traveling for six months, I didn’t think that my days would be so similar to the days I spent at home. Then, on other days, we’re on a boat by 5:30 a.m. We watch as the sun rises over the water, feeling the beating of the motor in our bones as it pushes us through the currents between some of the 17,000 Indonesian islands. 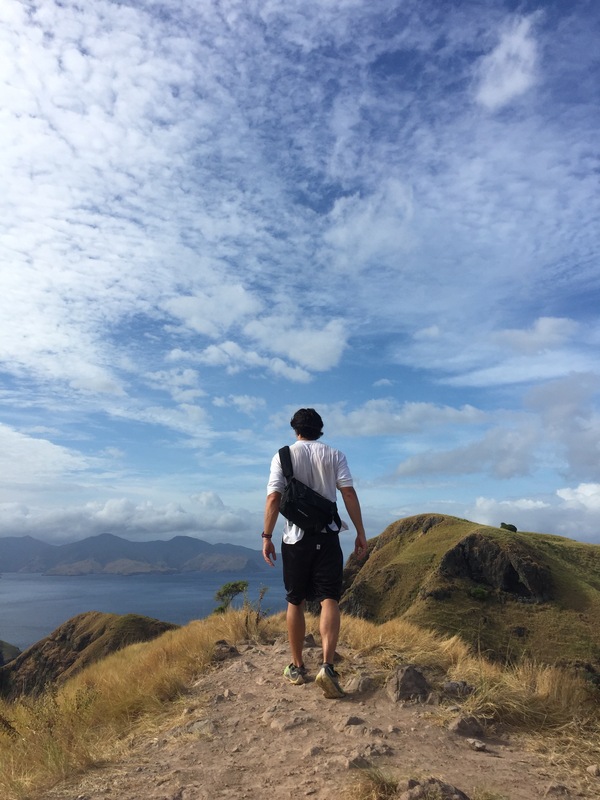 Stopping at one, we hike to the top of a mountain overlooking crystal clear bays before breakfast, then hang out with Komodo Dragons in the wild before snorkelling off of a pink coral beach with a hundred kinds of tropical fish. Lunch. Then we swim with manta rays, and get back in time to see the streets filled with Muslims breaking their Ramadan fast before watching the sun set over a dozen different islands and a hundred different boats, their mast-lights bobbing in small bay waves. Today was decidedly closer to the second kind of day, and on days like these, it’s spectacular to be alive.